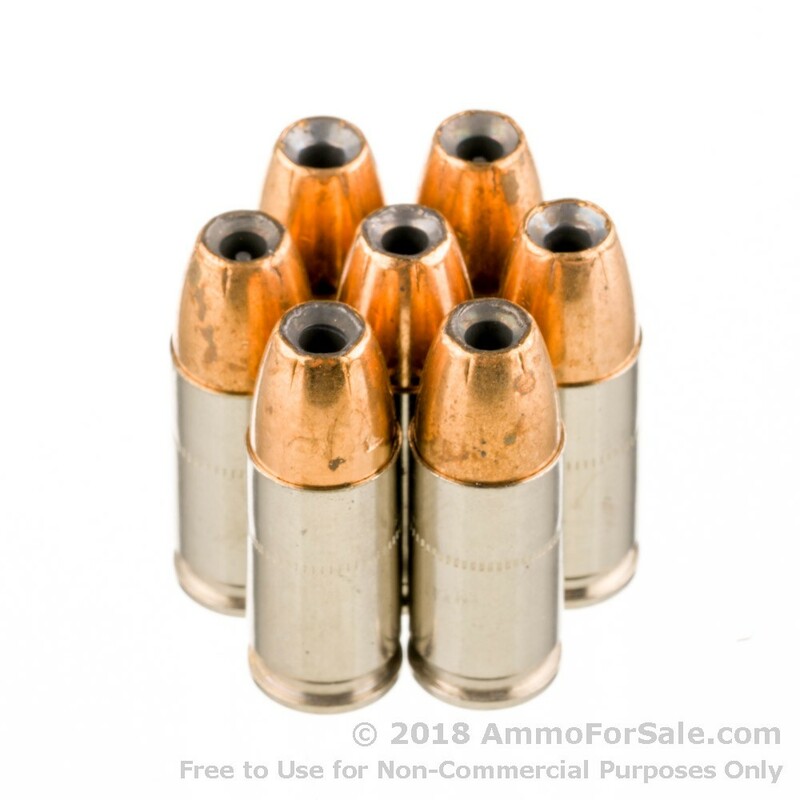 AmmoForSale.com is pleased to offer this 9mm ammo for sale by Federal. 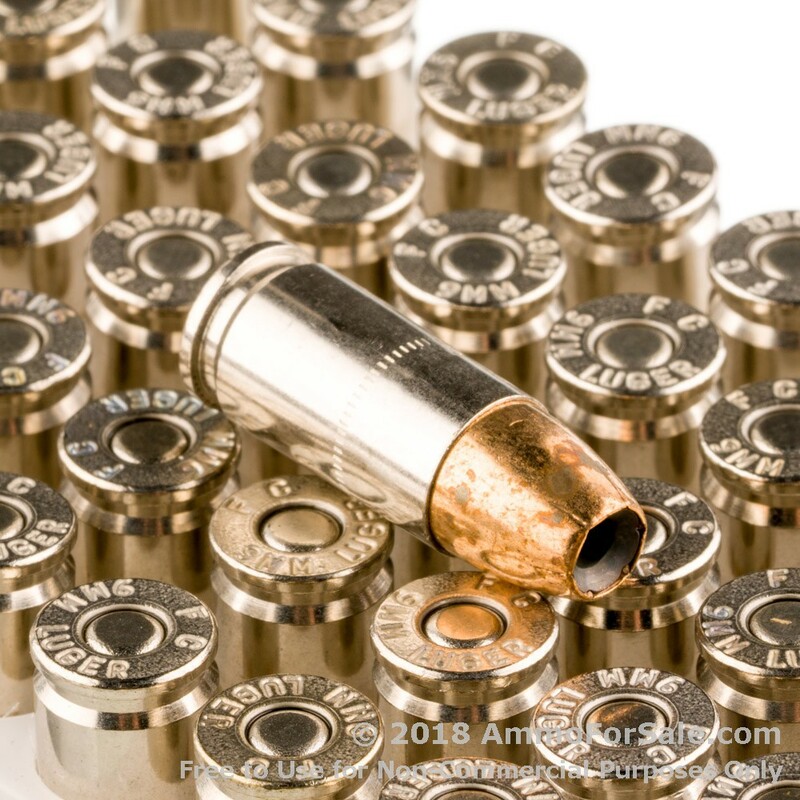 These 1000 rounds of nickel-plated brass cased ammunition are boxer primed and include a 124gr JHP projectile. 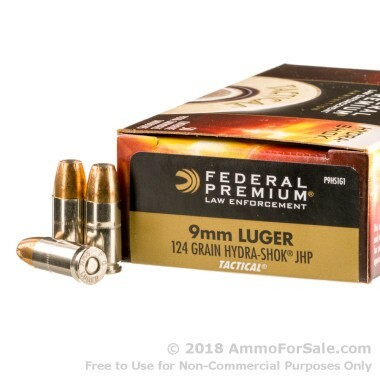 Please be sure to read our reviews of this Federal 9mm ammo below, or add your own! I bought this for use in my new SIG P938. According to several reviews on YouTube, this pistol can be finicky about the ammo you feed it. But I took the gun out yesterday for the first time and it never stuttered or hiccoughed. This ammo performed flawlessly. It is clean and reliable. The ballistics indicate that it is also a real stopper when used as personal protection. I'll get plenty more.